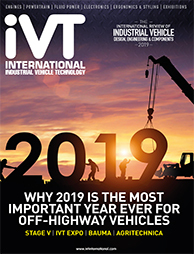 Over 25 international speakers will present their findings and views on how to increase operator comfort and awareness, while at the same time improving vehicle functionality, productivity and safety. 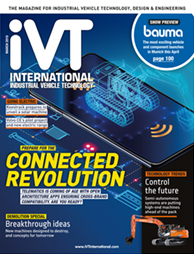 The conference focuses on the latest and next-generation adaptive user-interface controls, HMI and UX challenges, highly connected vehicle technology and cloud-based operator equipment, while also looking at new materials and general operator ergonomics. Held alongside iVT Expo, the exhibition that is dedicated to showcasing nothing but industrial vehicle components and technologies, the conference brings together senior-level engineers and R&D directors from OEMs and Tier 1 and 2 suppliers, industrial vehicle cab designers and manufacturers, industrial vehicle designers, HMI engineers, UX designers, ergonomics experts and research organizations. The Industrial Vehicle Cab Design & Technology Conference forms part of four highly targeted industrial-vehicle technology conferences including Autonomous Industrial Vehicle Technology Conference, the Electric & Hybrid Industrial Vehicle Technology Conference and the Industrial Vehicle Powertrain Technology Conference. All four conferences take place at the same time in Köln Messe, and just one conference pass gives you access to all four events. Please note that security will be on-site and bag searches will be carried out for your safety.